was born in Erfurt. She first studied cello and later focused on singing at the Hanns Eisler Music University in Berlin and with Professor Elsa Cavelti in Frankfurt. 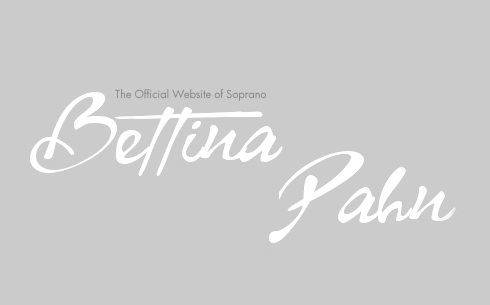 Since June 2012, Bettina Pahn works together with the renowned Dutch singing teacher Margreet Honig. Her moving lyric soprano voice quickly excited the interest of diverse conductors in the areas of Oratorium, early music and lieder. 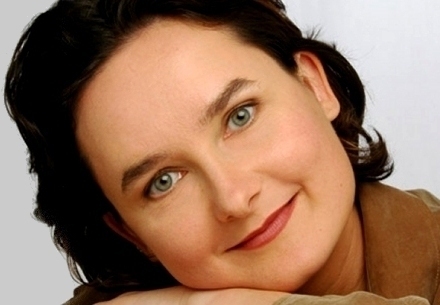 The German Soprano cooperates intensively with Ton Koopman in recordings and concerts. Together with him, she performs in the most important concert halls (the Carnegie Hall in New York and the Concertgebouw in Amsterdam...) and also in numerous of international festivals (the Göttingen Handel Festival and the Schleswig-Holstein Music Festival). 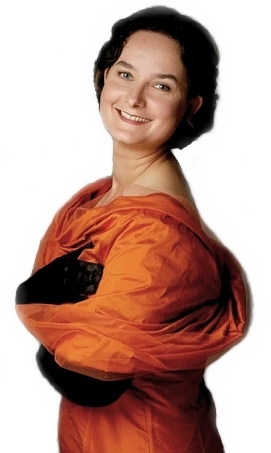 She has recorded numerous of albums with Ton Koopman dedicated to the work Dieterich Buxtehude. The second album "Opera Omnia VII - Volume 3" received the German Echo Classic Award 2009. Additionally, Bettina Pahn has sung under the direction of Thomas Hengelbrock, Frieder Bernius, Pierre Cao, Peter Rundel, Christoph Schoener and Patrick Peire, among others. Bettina Pahn collaborates with Echo prize winner Joachim Held (lutenist) and Tini Mathot (Harpsichord) since many years. In 2007 the duo Pahn/Held performed with great success at the "Göttinger Handel Festival", in 2008 at the "Schwetzinger Festival" and in 2009 at the "Schleswig-Holstein-Festival". As part of the "Handel Festival" in Halle (Germany), they gave a concert in 2011 with the ensemble Sarband. In autumn 2007 Hänssler Classic released their first collaborative CD of German folk songs and in summer 2009 a CD of German Christmas songs "Silent Night". In 2011 the duo performed at the renowned "Innsbrucker Early Music Festival" in Austria and in 2015 at the "Itineraire Baroque Festival" in France. Bettina pahn and Tini Mathot performed several times at the "Itinéraire Baroque Festival" in France and in 2013 they gave a very successful concert at the "Originalklang Freistadt Festival" in Austria. End of May 2016 the duo, together with Ton Koopman, performed songs by Telemann, Haydn, Mozart, Rust und Zelter at the Esterhazy Castle in Hungary. They recorded consecutively two albums for the label Naxos: "There was a King in Thule" (Zelter, Reichardt, Schulz and Rust) in 2016 and "Wo fliehst du hinausmeinemHerzen" (Carl Philipp Emanuel Bach) in 2017. Both albums were conducted by Ton Koopman and received a great welcome by the international press. In October 2017 Bettina Pahn gave her first singing lesson in Admont (Austria) and in November she performed together with Christine Schornsheim (Fortepiano) at the "Bach Festival" in Hamburg (Germany). In 2018 the Soprano sang at the "Bach Biennale" in Weimar (Germany) and in 2019 she will perform at the Instrument Museum of Berlin, the "Itineraire Baroque Perigord" in France and in Brunnthal (Germany) for an Early Music concert series. Since 2017 Bettina Pahn teaches "Early Music Singing" at the University of Music in Bremen (Germany). In spring 2018 she gave a Masterclass at the Royal Conservatory of The Hague and in Autumn 2018 a second singing lesson in Admont (Austria). In Summer 2019 the Soprano will give an Early Music singing lesson in Bertinoro (Italy) and in Autumn she received an invitation for the "Admonter Lautenherbst" in Austria. In 2019 Bettina Pahn will record a new album "Moralischen Kantaten - Telemann" for the Label Hänssler classic and in 2019/2020 she scheduled to record a second one "Johann Friedrich Reichardt Songs" for the Label Naxos.